Extraordinary monuments that bear witness to the passing of the centuries, a rich and varied cuisine to be savoured, a variety of shops to explore: Rome meets all requirements related to leisure and culture. At the port of Civitavecchia we are met by a local guide who, during the coach trip to the centre of Rome, gives us practical tourist information and a city map that will be very useful to explore one of the most fascinating cities in the world on our own. After setting an appointment for our return, we leave the bus and we are immediately immersed in the magical atmosphere of the Eternal City, where, at every turn, we encounter evidence of many centuries of history that have contributed to make the city what it is today, from pagan times through the long earthly reign of the Popes up to the present. Along elegant streets and in the narrow alleys, in the large and small squares, up and down the gentle slopes of the seven hills, wandering around Rome is an unforgettable experience for everyone because this city offers a concentration of sublime art, entertainment and shopping like very few other cities in the world. 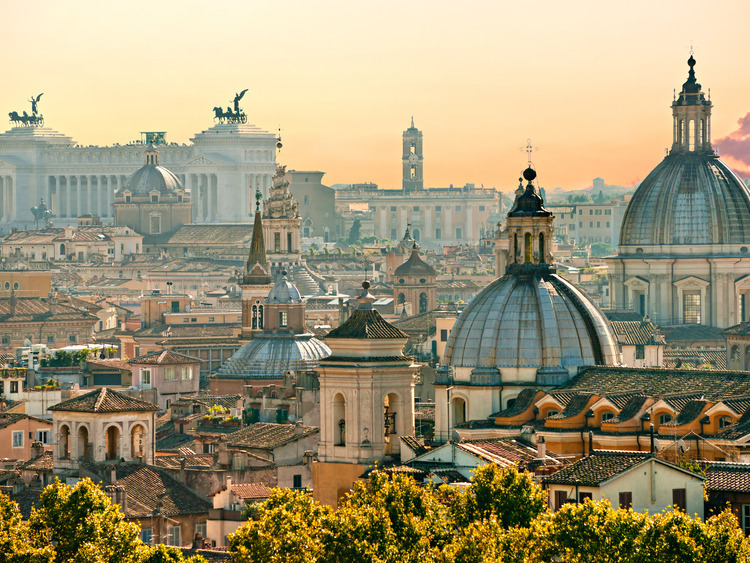 The day is all ours to see, visit, buy and enjoy all that Rome has to offer, as we wish. In the late afternoon, we return to the meeting point as agreed with our local guide at the agreed time to return on board. The coach transfer to Rome takes approximately 1 hour and 30 minutes each way. It is very important to listen to our courier who will announce the meeting place and time for your return on board. The point of arrival and departure in Rome will be announced by the courier at the beginning of the excursion. It will be in the city centre in an area from where the main tourist attractions are easily accessible.